For more than 50 years, the Southern New Jersey Development Council at its annual Distinguished Achievement Awards Reception has honored outstanding individuals, organizations and companies in the public and private sectors for their leadership in economic development in the southern eight counties of New Jersey. In recognition of Nexus’ vision, leadership and commitment to the growth and development of the Borough of Glassboro and Rowan University, through the Rowan Boulevard Project, the Southern New Jersey Development Council honored Nexus with the 2016 Economic Impact Award. 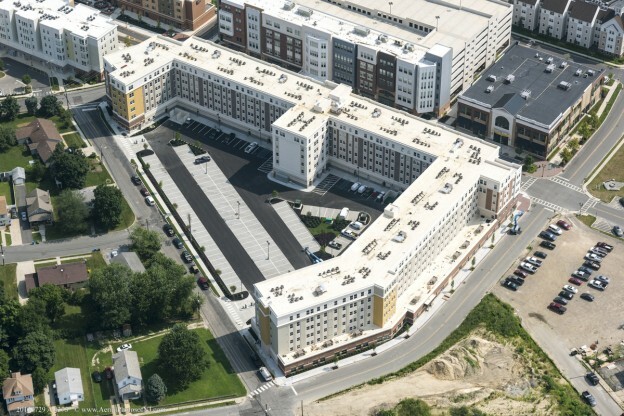 The Rowan Boulevard Redevelopment project stands as a grand example of what public-private partnerships can do-not only reinvigorate a community but also become a catalyst for economic growth that attracts new investors, creates hundreds of temporary and permanent jobs, provides steady tax ratables to the community and raises the profile of a University, which in turn has an additional cascading economic impact on the entire state. Nexus’ more than $300-million investment on Rowan Boulevard, which includes the construction of the Enterprise Center (academic building and parking garage), 220 Rowan Boulevard (residential, retail and health care complex), a second parking garage and two more residential/academic/retail buildings, serves as a model of collaborative redevelopment and smart growth. We are fortunate to have Nexus Properties as part of our business community.